This recipe is quite a mouthful, but don’t be put off by its long name. It will probably take you longer to say the name than to actually make the recipe, its that quick! This is an easy measure and mix one bowl cake recipe, which is a really good thing as I literally made this cake 4 times! First time I was just trying the recipe to see if I liked it, which I did so I tweeked it a bit and made it again for our family Christmas shoot . But! then at the shoot I forgot to cut a slice and gave the whole cake away, so I backed a third cake to photograph myself with a slice so you could see the layers and the filling. But! 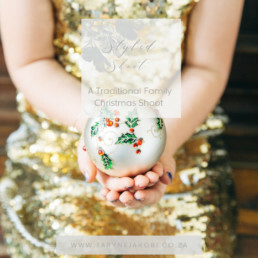 when I did the shoot the light wasn’t good, and when I downloaded the images I wasn’t happy at all. I now had a sliced up cake, so that meant, yip…I had to make it for the fourth time. But! I was very happy with pics, and so glad I did it again. I gave each cake away, and everyone raved about them. I tried adjusting the molasses and syrup quantities and settled on the ratio 2/3 molasses to 1/3 syrup, the molasses adds a lovely colour and depth of flavour. If you are not keen on molasses ( why???) you could do 1/2 – 1/2 ratio of molasses and syrup but I wouldn’t skip it all together. I sandwiched the layers together with salted caramel, recipe here. You could skip the salted caramel and use only the lemon cream cheese buttercream, but again, why would you? And finally, the cake freezes beautifully, either in layers or the whole cake with the icing, so if you want to get ahead on your Christmas baking game, this recipe has got you covered! In the bowl of a mixer combine all the dry ingredients and whisk to combine. In a separate bowl combine all the wet ingredients and lightly whisk with a fork to combine. Pour the wet mixture into the dry mixture and whisk to combine, don't over mix or you will over work the flour. Pour the batter into the cake tins and gently smooth the tops. Bake for 25 minutes until a skewers comes out clean when inserted in the centre. Cool on wire racks before icing. In a mixing bowl beat the butter with the lemon juice and zest until pale and fluffy. Slowly add the cream cheese a block at a time, beating well between each addition. Add the icing sugar 1 tablespoon at a time, and continue beating until all combined. 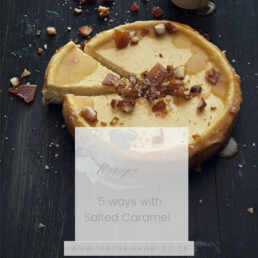 The quantity makes more than you will need if you are using salted Carmel in the layers, the recipe can be halved. Spread each cake with salted caramel if using, and stack onto of each other. Using a palette knife spread the icing around the cake to the desired thickness, I wanted a naked cake look so I did not spread the icing very thick on the sides. Spread icing over the top and decorate. I used rosemary stalks for this shoot, and on the previous shoot, I used decorated ginger biscuits.